I have a confession to make - over Christmas, I got Biosculpture gel nails. Although not natural, Biosculpture is free of certain toxins, completely vegan, and cruelty-free. My second confession is I don't feel too guilty about it, but what I do feel guilty about is that after I couldn't get an appointment to get them removed properly, I removed them myself *cue gasps*. It was a fairly simple process but my usually strong nails are hating me for it. 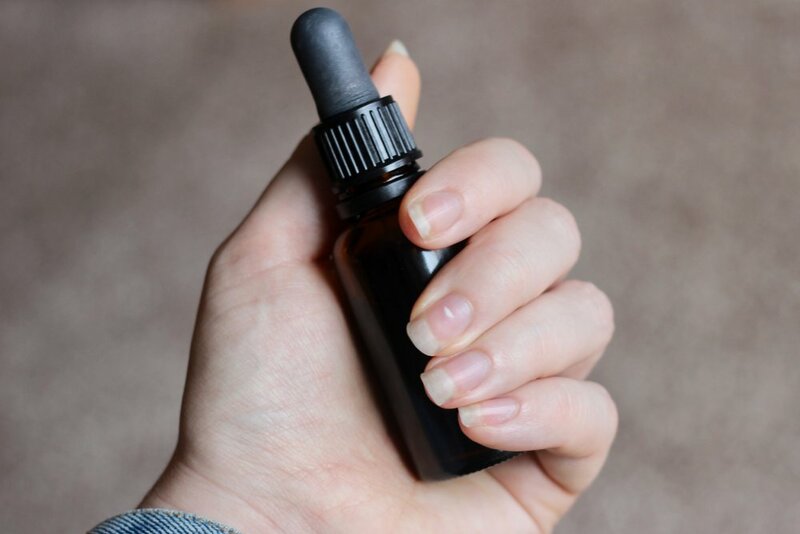 After a couple weeks of super flakey and breaky nails, I decided to do something about it and DIY a super nourishing nail serum to help them grow and repair themselves. After consulting various ingredients I had laying about the house, I came up with this super simple and easy recipe. Avocado and argan oils help to moisturise the cuticles and repair the nails, while magical lemon and lavender essential oils helps to stimulate growth and strengthen. I used some carrier oils that I had laying around and don't really use but you can source cheaper (and still organic) options from supply stores such as Naissance - either from their website or select products are available via Amazon. This is also where I get the majority of my essential oils. Lavender and Lemon EOs are not too expensive so this DIY should be reasonable cost effective - you may even have some of the ingredients already! Check out the recipe below. Remember: Lemon essential oil increases your sensitivity to sunlight so I would suggest only using this serum in the evening. Do you DIY your own beauty products? Will you be trying this nail serum?